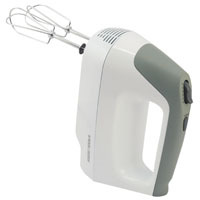 MX3000W Black & Decker Electric 6 Speed Hand Held Mixer Plus Power Boost 250-Watt - Power Pro White -Professional attachments: 2 beaters 2 whisks Plus eject button. Lightweight and ergonomic design. Bowl and heel rest. Cord management. Dishwasher safe parts. This item cannot be shipped to APO/FPO addresses. Please accept our apologies. Classic baking fun, from scratch! 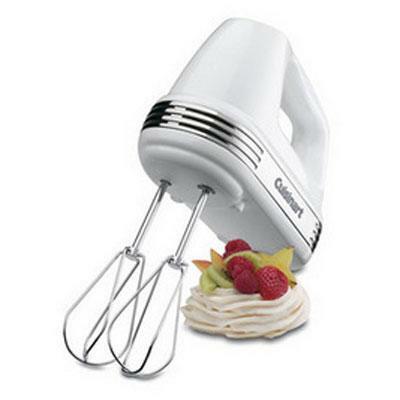 This Marvelous Mixer is the perfect addition to any pretend kitchen. It spins, lifts, and lowers just like a real standing mixer! We've added lots of extra small touches to kickstart the imagination, like a removebable bowl and milk bottle lid, and an egg that really cracks open. 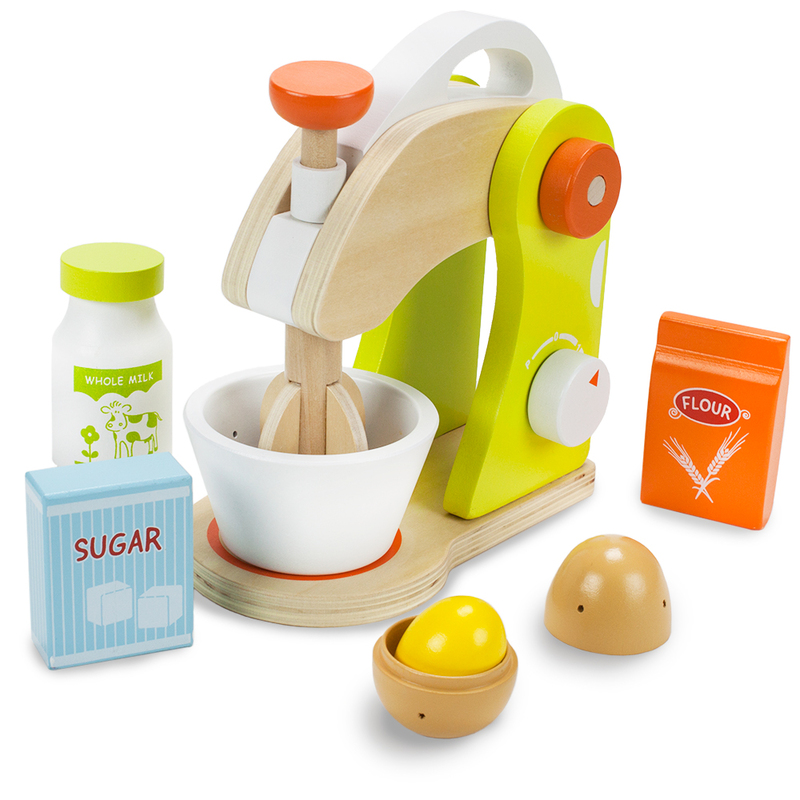 These thick, chunky pieces of natural wood are finished with safe, water-based paint and are the perfect tools for supercharging early motor skills, developing dexterity, and teaching the fundamentals of baking and following directions! 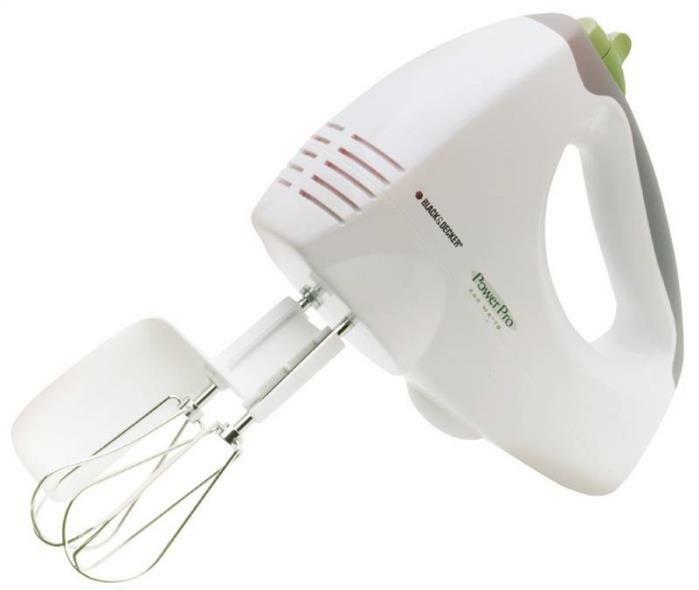 The Cuisinart Power Advantage 7-Speed Hand Mixer flawlessly and easily mixes even the heaviest ingredients. 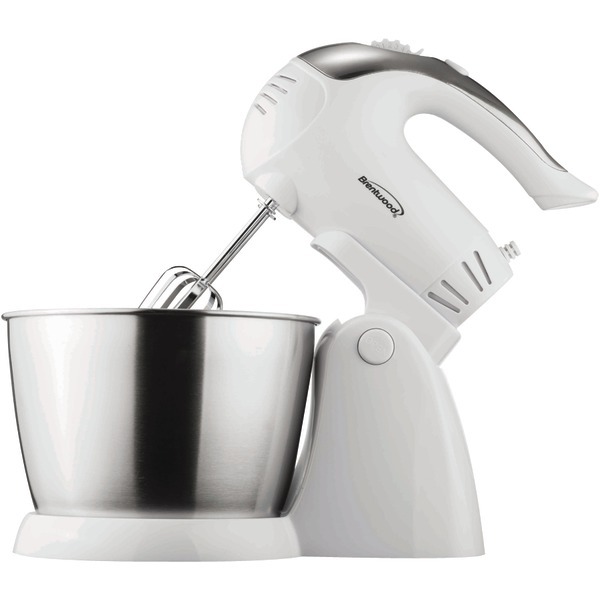 From dense cookie dough to whipped cream the powerful motor with automatic feedback can perform any mixing task. And the precision touchpad with digital display shifts speeds with just one touch! 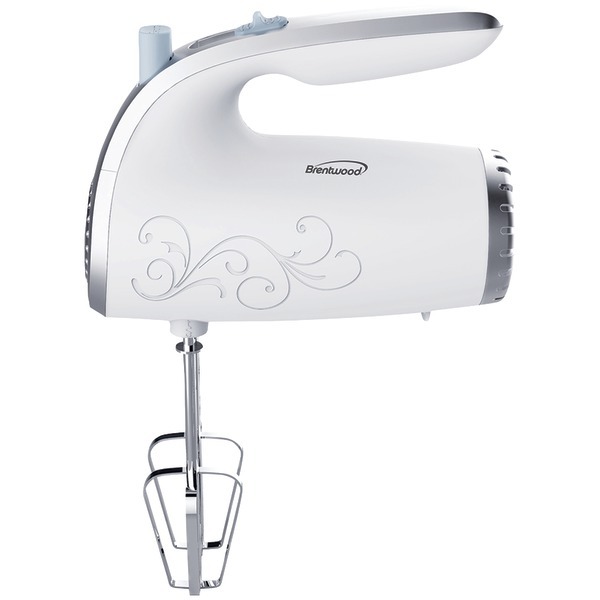 220 watts of power with automatic feedback; Chrome-plated Cuisinart logo band; SmoothStart feature with 3 low mixing speeds eliminating splattering; One-step power switch with 7-speed LED display; Easy-to-use speed control and beater eject lever; Swivel cord for right-handed or left-handed use; Extra-long self cleaning beaters with no center posts; Professional chef?s whisk and spatula; Instruction and recipe book included. This item cannot be shipped to APO/FPO addresses. Please accept our apologies. The Chard 20 lb. 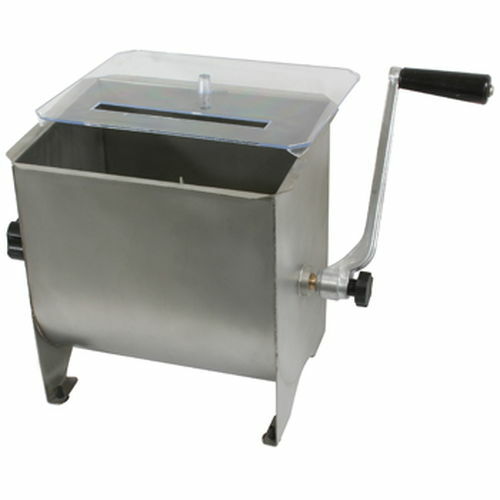 Meat Mixer is an essential tool for those doing multiple pound batches of sausage jerky or other seasoned ground meat. 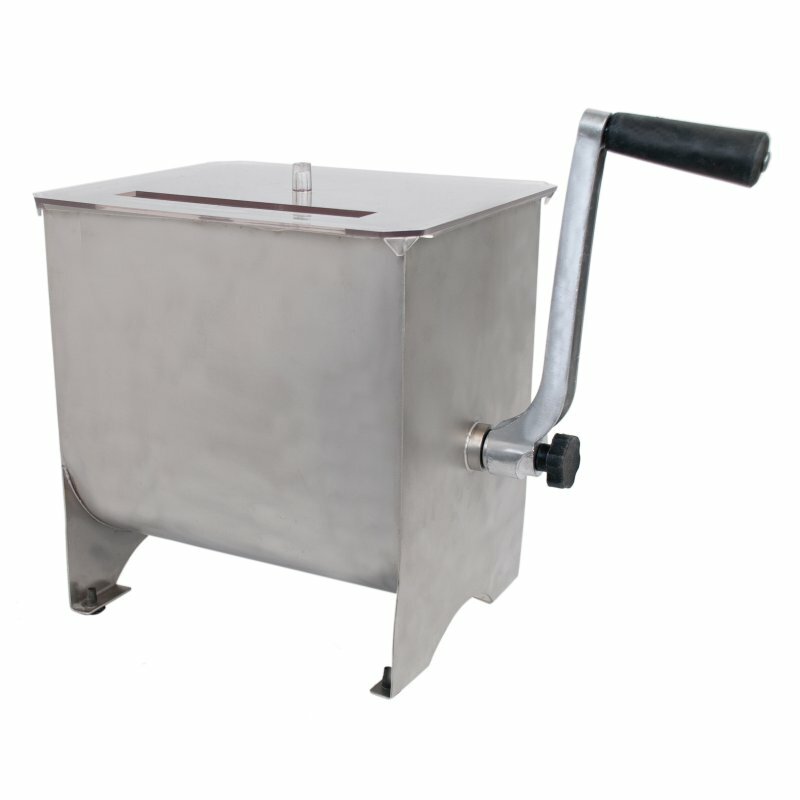 The stainless steel hopper has a 20 lb. 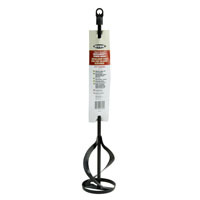 capacity allowing the user to evenly mix large batches of seasoned ground meat for making sausage jerky links and more. 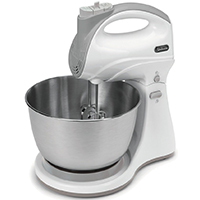 Four removable stainless steel mixing paddles ensure thorough mixing and easy clean-up. The clear hopper cover has a convenient slot that allows user to safely add spices while mixing. 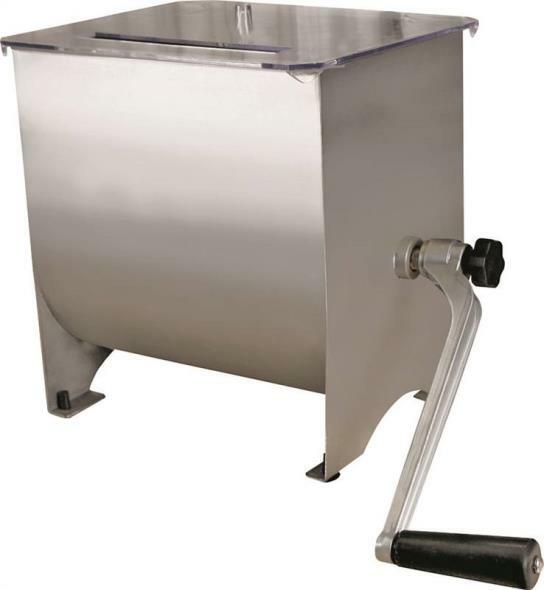 Non-skid large rubber foot pads help keep the stainless steel hopper in place when mixing. This item cannot be shipped to APO/FPO addresses. Please accept our apologies. 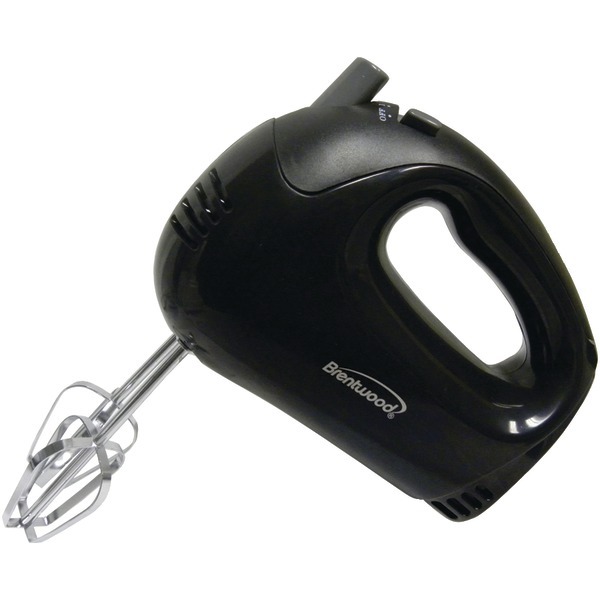 Black & Decker Easy Storage Hand Mixer with 275 Watts peak power and 6 speeds plus Power Boost. Versatile for different mixing needs. 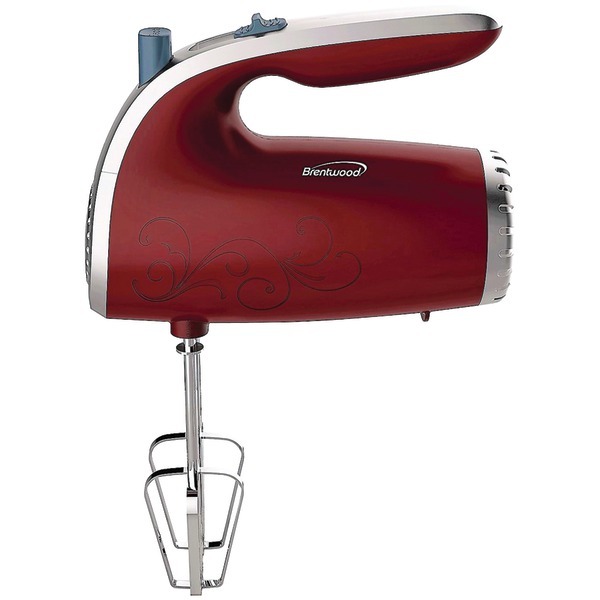 Less Mess Slower First Speed for better control and less mess in your kitchen with 20% slower first speed. 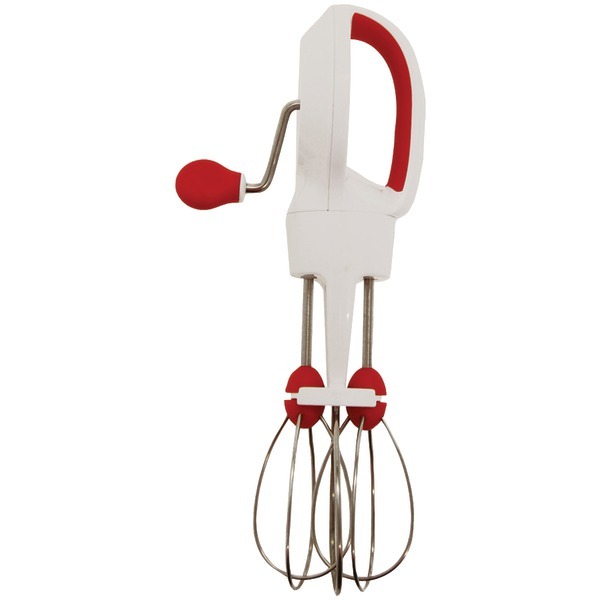 Professional Attachments include 2 Wire Beaters 2 Dough Hooks 1 Whisk and a storage case for all of these attachments. Lightweight & Ergonomic Design Bowl & Heel Rest to rest your mixer to avoid messy spills between jobs. Dishwasher-safe Parts for no fuss clean-up Black finish. This item cannot be shipped to APO/FPO addresses. Please accept our apologies. 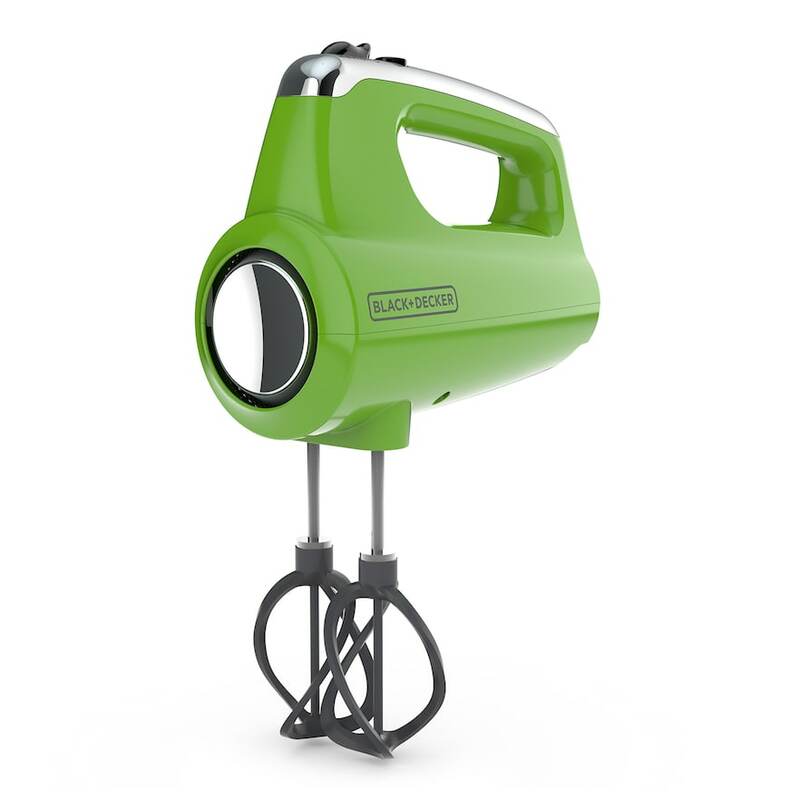 200 Watt; Power Head Detaches For Use As A Portable Mixer.Stainless Steel Bowl.Convenient and Versatile.Power Head Detaches for Use as a Portable Mixer.Mix Multiple Parts to a Dish with One Convenient Mixer. 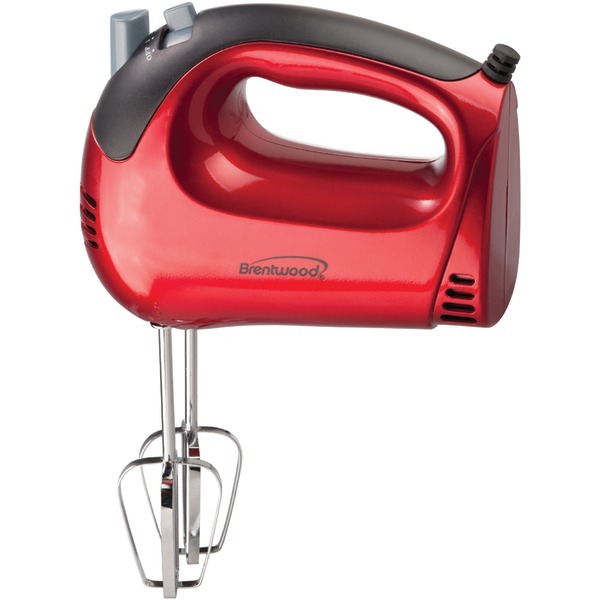 Mix it up with Brentwood's Heavy Duty 5 Speed Hand Mixer! 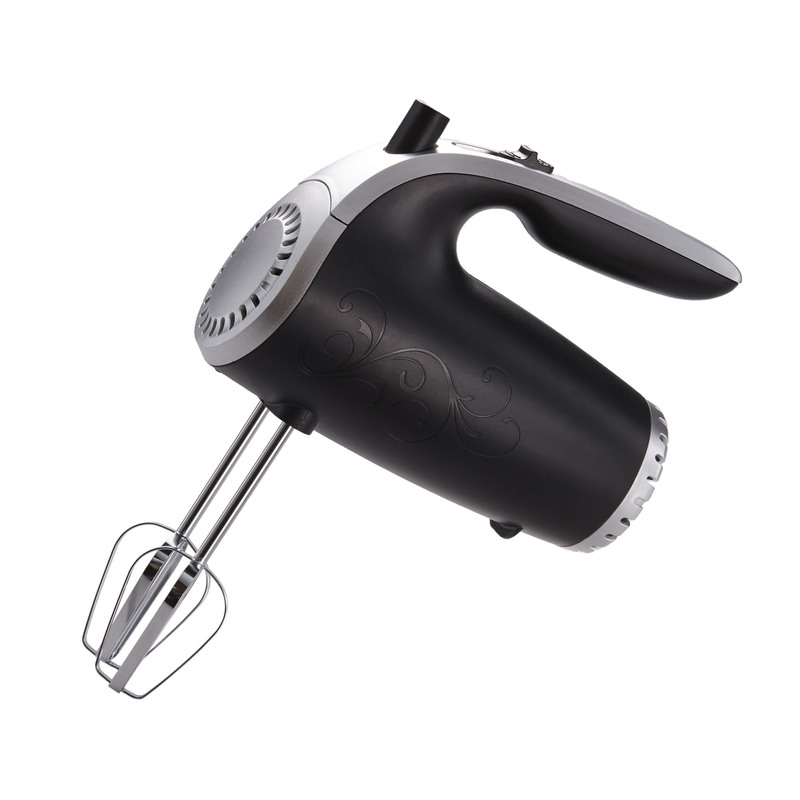 This stylish Black colored Model has a 150W Motor and carries a lightweight ergonomic design on the body of the Hand Mixer itself. The Mixer features a beater ejection button for easy cleaning along with durable & dishwasher safe Chrome beaters. . This item cannot be shipped to APO/FPO addresses. Please accept our apologies. 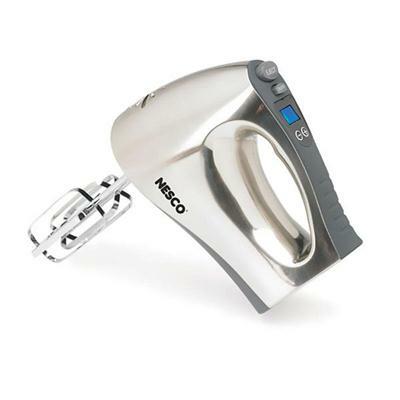 Nesco 350-Watt Hand Mixer has 16 speeds with digital speed control built in timer to keep track of mixing time a rubberized comfort-grip handle backlit LCD display and stainless steel turbo beaters. The smart design gives you precise control when mixing. 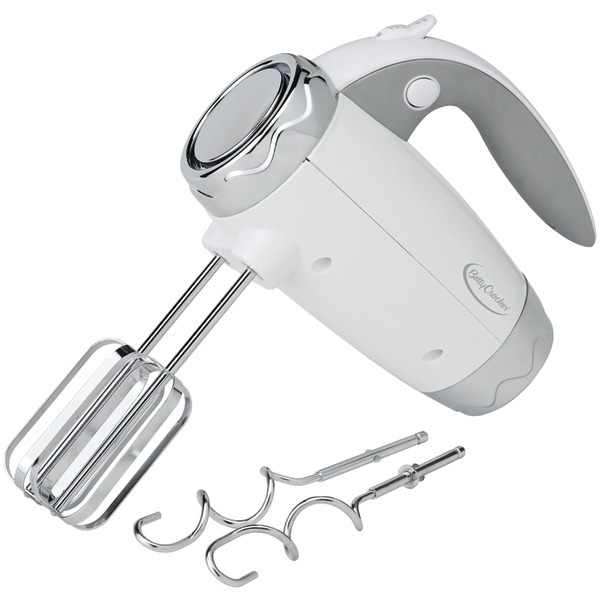 In Box: Base Hand Mixer (2) Beaters. Polished Chrome look. This item cannot be shipped to APO/FPO addresses. Please accept our apologies. The advanced helix design improves mixing performance by maximizing beater overlap & mixing ingredients in multiple directions. 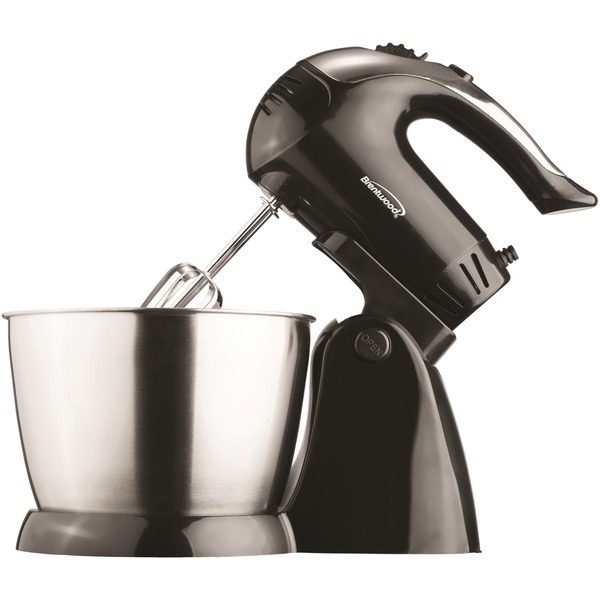 The BLACK+DECKER Helix Performance Premium Hand Mixer w/2x the surface area & 2x the mixing performance Plus a special turbo boost adds a power boost at every mixing speed to combine thick ingredients in no time. All accessories are stored conveniently in the smartly designed storage case which uses the mixer itself as the snap-on cover. Cleanup is a breeze w/the auto-eject button that quickly disconnects the dishwasher-safe mixing tools. 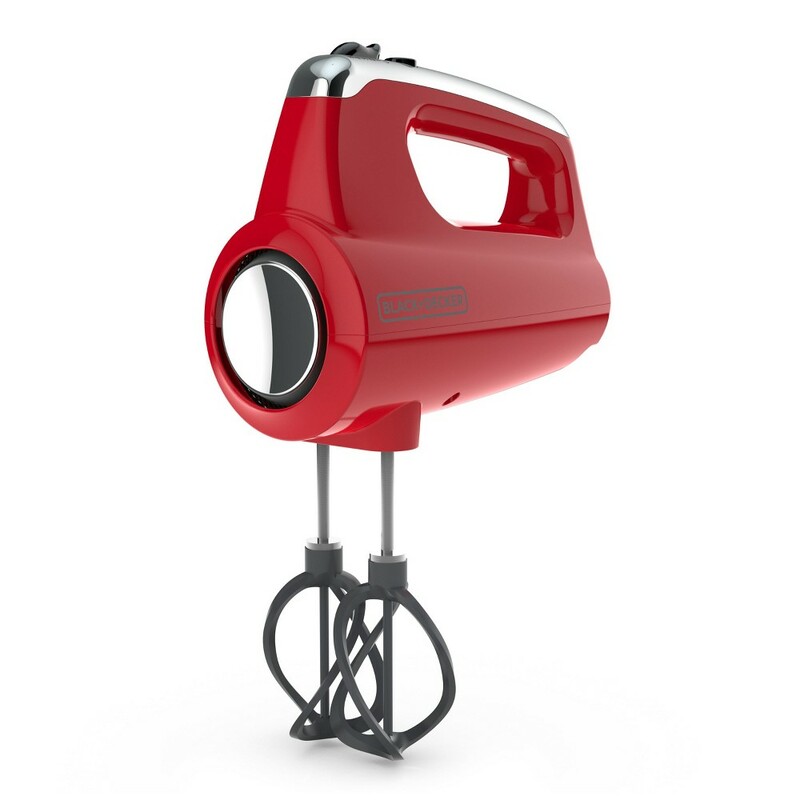 Plus you can further prevent messes w/the heel & bowl rest which allows the mixer to sit upright on the edge of the bowl compared to BLACK+DECKER model MX3200B. This item cannot be shipped to APO/FPO addresses. Please accept our apologies. The advanced helix design improves mixing performance by maximizing beater overlap & mixing ingredients in multiple directions. The BLACK+DECKER Helix Performance Premium Hand Mixer w/2x the surface area & 2x the mixing performance Plus a special turbo boost adds a power boost at every mixing speed to combine thick ingredients in no time. All accessories are stored conveniently in the smartly designed storage case which uses the mixer itself as the snap-on cover. Cleanup is a breeze w/the auto-eject button that quickly disconnects the dishwasher-safe mixing tools. Plus you can further prevent messes w/the heel & bowl rest which allows the mixer to sit upright on the edge of the bowl *compared to BLACK+DECKER model MX3200B. This item cannot be shipped to APO/FPO addresses. Please accept our apologies. 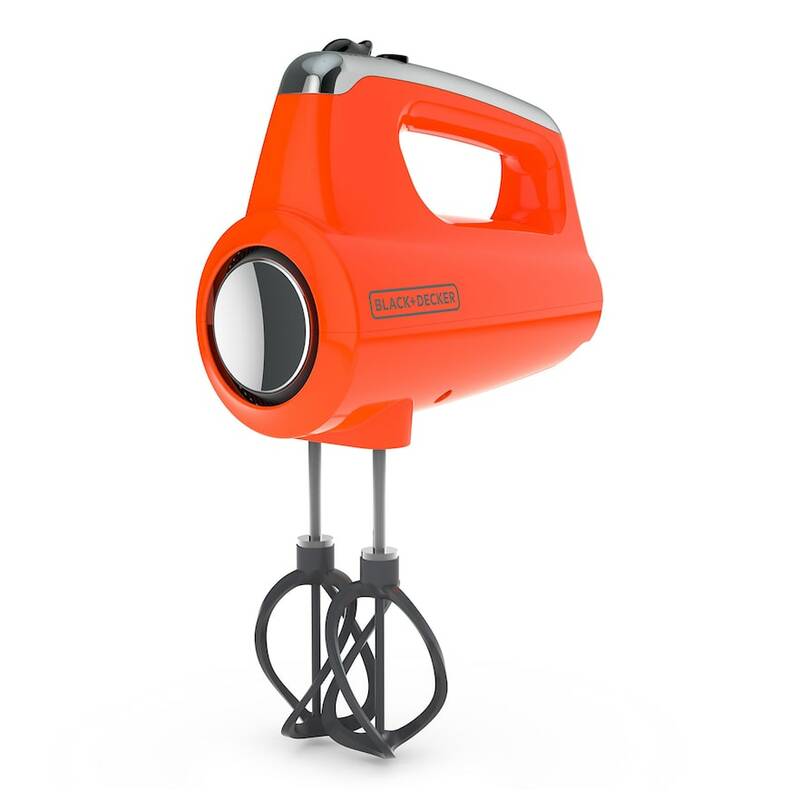 New from BLACK+DECKER! The advanced helix design improves mixing performance by maximizing beater overlap & mixing ingredients in multiple directions. 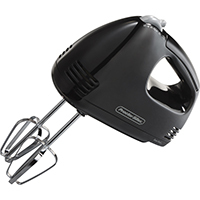 The BLACK+DECKER Helix Performance Premium Hand Mixer w/2x the surface area & 2x the mixing performance Plus a special turbo boost adds a power boost at every mixing speed to combine thick ingredients in no time. All accessories are stored conveniently in the smartly designed storage case which uses the mixer itself as the snap-on cover. Cleanup is a breeze w/the auto-eject button that quickly disconnects the dishwasher-safe mixing tools. 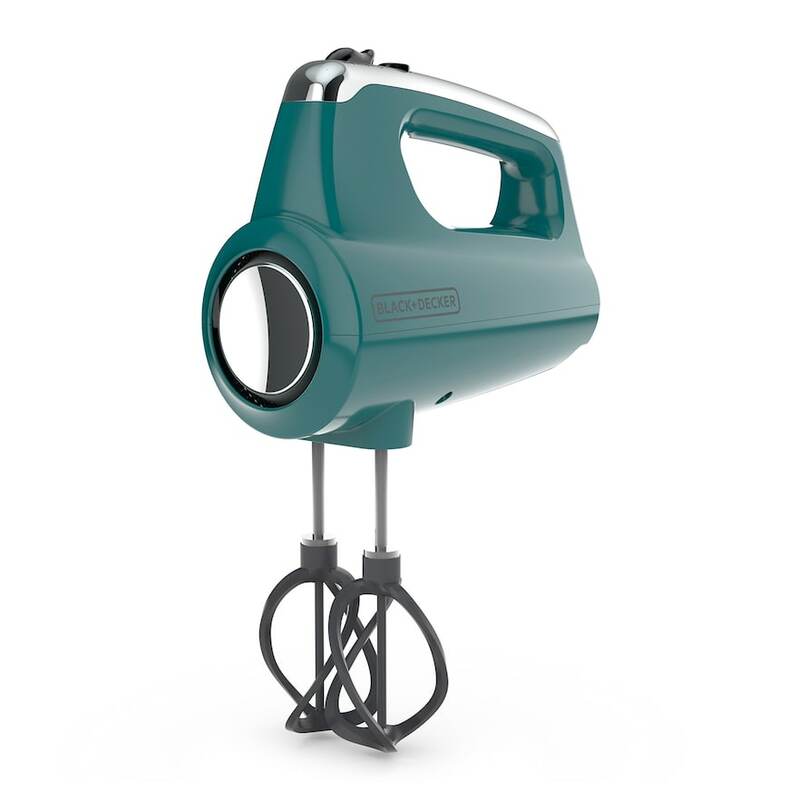 Plus you can further prevent messes w/the heel & bowl rest which allows the mixer to sit upright on the edge of the bowl compared to BLACK+DECKER model MX3200B. This item cannot be shipped to APO/FPO addresses. Please accept our apologies. sThe advanced helix design improves mixing performance by maximizing beater overlap & mixing ingredients in multiple directions. 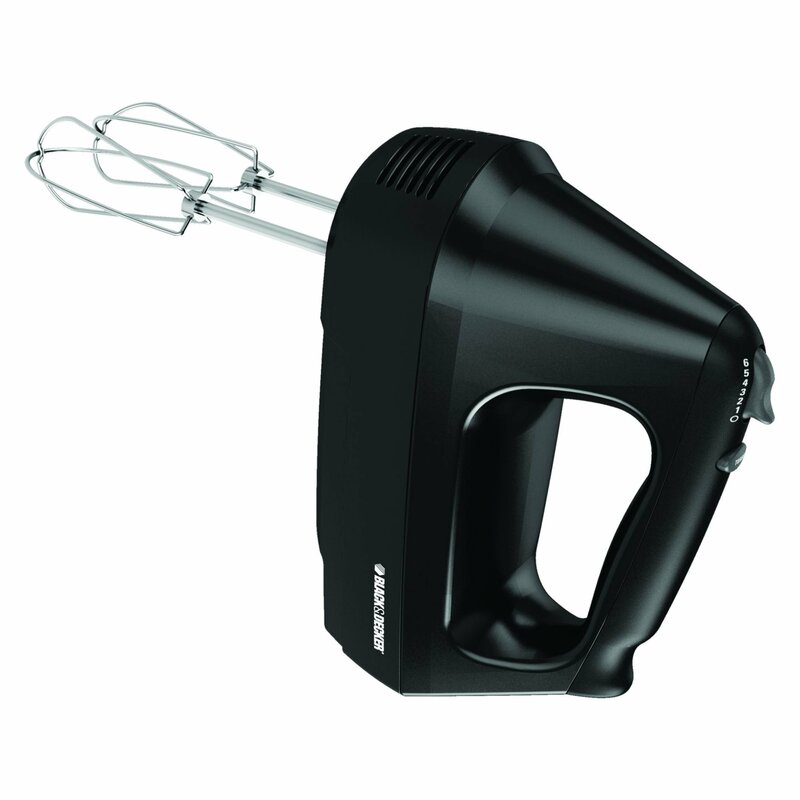 The BLACK+DECKER Helix Performance Premium Hand Mixer w/2x the surface area & 2x the mixing performance Plus a special turbo boost adds a power boost at every mixing speed to combine thick ingredients in no time. All accessories are stored conveniently in the smartly designed storage case which uses the mixer itself as the snap-on cover. Cleanup is a breeze w/the auto-eject button that quickly disconnects the dishwasher-safe mixing tools. 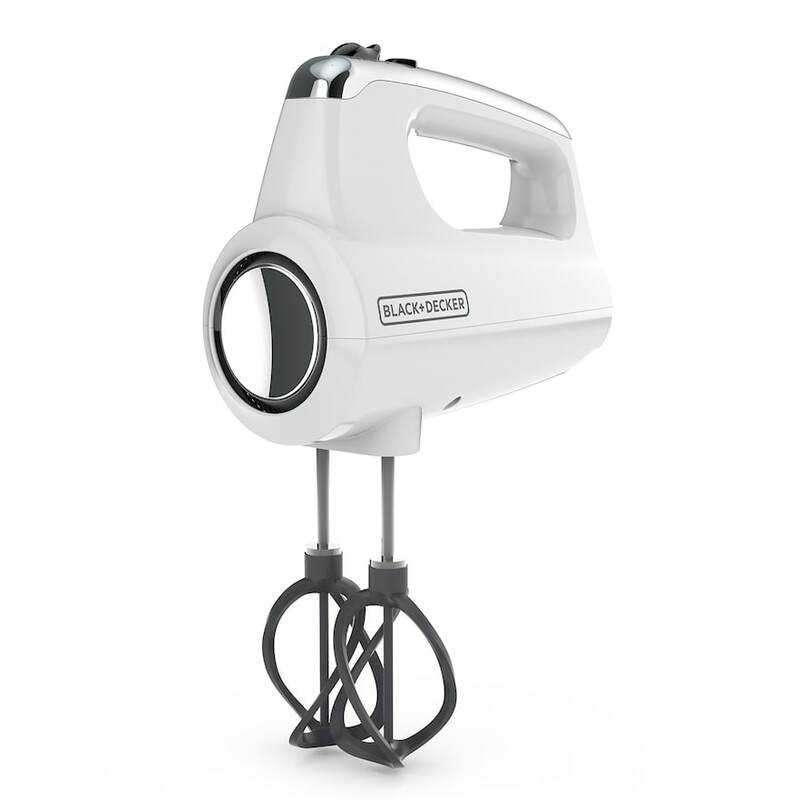 Plus you can further prevent messes w/the heel & bowl rest which allows the mixer to sit upright on the edge of the bowl compared to BLACK+DECKER model MX3200B. This item cannot be shipped to APO/FPO addresses. Please accept our apologies. Mix your own meat, fowl or wild game with your favorite seasonings for fresh and healthy homemade meals with the Sportsman Series 4 Gallon Stainless Steel Meat Mixer. Be confident in the quality of the food your family is eating or save money buying large quantities and processing it yourself. 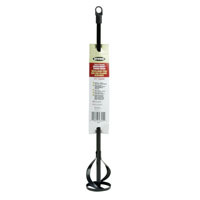 The Meat Mixer includes a clear see-through lid and a removable paddle for easy cleaning. 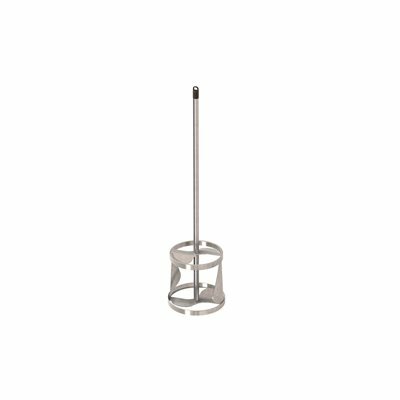 The durable, easy to clean stainless steel design can stand up to heavy use season after season when cared for properly. The 4 gallon tank mixes up to 17 lbs of meat at one time.